Mapping of customer localisation, sales volumes in specific regions, delivery days and seasonality is key for decision making processes in logistics. We usually perform demand mapping for clients who are dealing with challenges in service level. A competitive company needs to meet the needs of its customers but also to stay efficient in logistics. 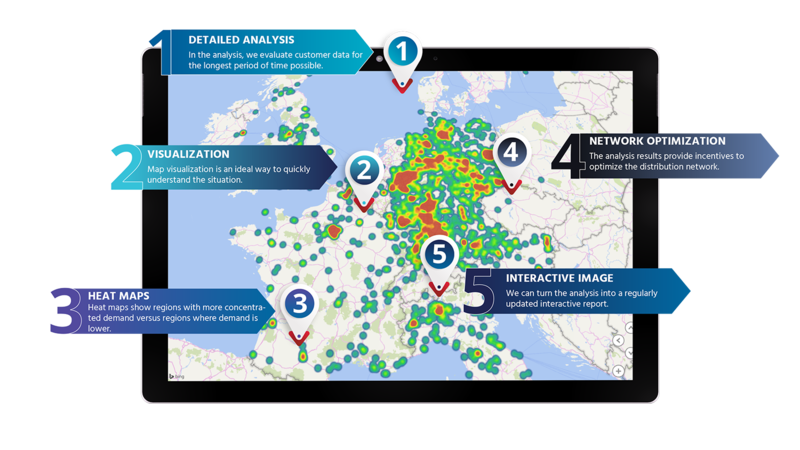 Maps and visualizations of demand and of current distribution channels show in what regions the service is efficient and in what regions it should be optimized. If a company uses 3PL, it may not have complete control over how the logistics partner is dealing with deliveries in specific regions. Even in the situations when the potential inefficiency of the partner does not increase the logistics costs for the company, it is useful to know the options for service level optimization. They are a good argument for negotiations with logistics partners, i. e. during tendering procedures. Most of our clients use on daily basis a planning software which can optimize routes according to customer volumes and priorities. But even these clients use demand mapping for their strategic decisions in logistics. Our comprehensive overview of logistics is based on long-term data, easy to read and visualises all data on maps. In the first phase, we ask our client to send us delivery data from a representative period of time. We process this data into a source file. In the second phase we create a total heat map of demand. It shows where most volumes are concentrated. In the third phase we look at the demand of key customers and at seasonality. Consequently, we analyse delivery days and the efficiency of deliveries in both the areas with high demand and the peripheral areas. If a client wants to follow the demand and its logistics coverage continually we will create an interactive application. Once the user inputs source data the application displays all the necessary indicators on a map and in charts. 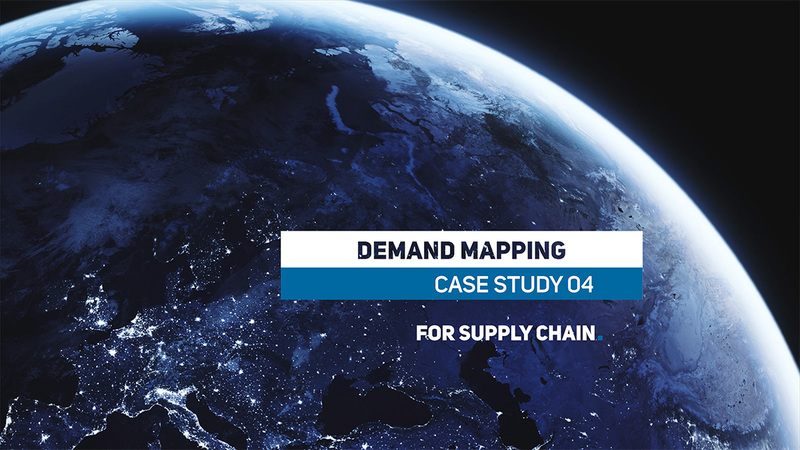 The process of mapping of demand is often the first phase of a larger logistics network modeling project. Such as our Complex Network Study or New Model of Distribution Network.